You may associate vitamin E with skin health, but did you know that it can do much more for you? You’ve likely seen it on many food labels, as well as in topical skin care products, which tells us it has both external as well as internal benefits. 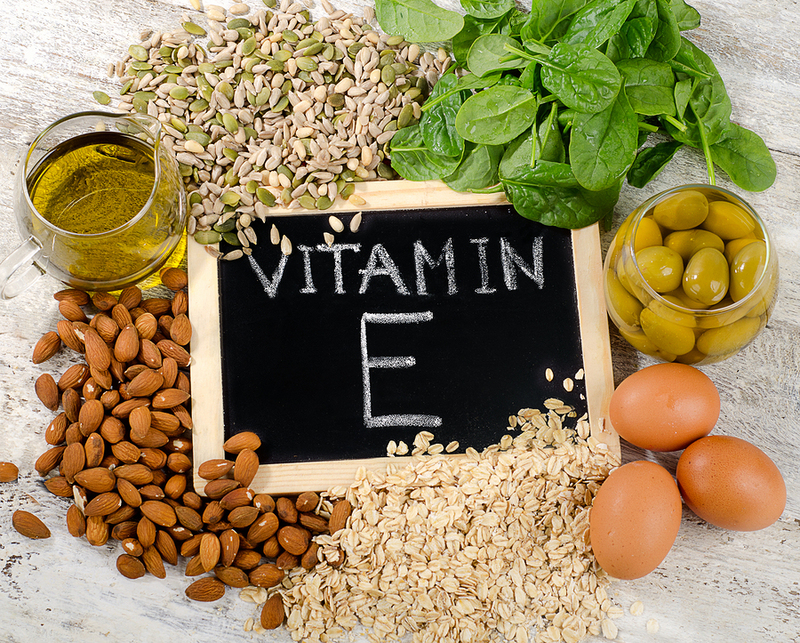 Not only is vitamin E an important part of skin health, it’s also a powerful antioxidant which can improve heart health, vision, symptoms of arthritis, and immune health, along with many other benefits. Here is what you need to know about vitamin E, and of its many health benefits. What is this Amazing Vitamin? Vitamin E is the shared name for a group of eight compounds which have antioxidant properties. However, even though the natural form of the vitamin exists in eight chemical variations, it is mainly the alpha, or a-tocopherol form which meets human needs, and is the most bioavailable. It is therefore that all references here to vitamin E are of the a-tocopherol form of it. Other functions of this key vitamin are its involvement in strengthening immune function, and it also helps dilates blood vessels to inhibit clotting of blood platelets, as well as preventing blood cell components from adhering to the surface of blood vessels. Let’s back up and briefly explain what “fat soluble vitamin” means for those unfamiliar. First, there are two different types of vitamins which are bioavailable to the human body, one being fat soluble, and the other water soluble. And, just as the names would imply, one dissolves in fats, while the other dissolves in water—simple as that. Vitamin E is fat soluble which means it is able to be dissolved in fats and it is stored in fat throughout the body until needed. However, what this means when it comes to vitamins in your body is that while water readily passes through during the urination and perspiration process, fats are not so easily passed. In fact, most fats need to be metabolized by the body, and are rarely passed on as waste or as waste carriers, so they remain in the body longer than does water. What this means is that while water soluble vitamins have little storage time in the body and are passed along on a daily basis, fat soluble vitamins are stored for longer periods, and don’t need the same daily replacement as do their water-soluble counterparts. With vitamin E, after being absorbed by the small intestine, it is taken up by the liver which then determines serum concentrations of it in the body. Since it is stored in the liver and other fatty tissues of the body, levels of it can be built up over time, as opposed to a water-soluble vitamin (such as B-complex or vitamin C), which need replacement on a daily basis to keep serum levels up. Other examples of fat soluble vitamins are vitamins A, D, and K, all of which are naturally occurring in many foods, and can also be added to your diet in supplement form. However, it is advised that levels are monitored when supplementing, since unlike with water soluble vitamins, buildup over time can reach levels of toxicity. When it comes to your health, few compounds are as roundly beneficial for immune function, skin health, heart health, hormone balance and vision as is vitamin E.
1. Skin Health—Your skin is the largest organ of your body and caring for it goes beyond merely staying clean and using good quality natural soap. Since a-tocopherol is the most abundant fat-soluble antioxidant in the skin, it would only make sense that low levels of it would lead to poor skin quality—which indeed it would. The good news is, skin levels can be maintained through both internal and topical treatments, which are readily absorbed by the epidermis (where levels of it are highest) and dermis. Just as in the rest of the body, vitamin E works to prevent free radical damage in the skin, and it may also help to prevent UV damage. Since it works as an anti-inflammatory compound, vitamin E helps to prevents skin swelling, thickness, and edema, and it may also be beneficial in preventing hives and other conditions stemming from chronic skin inflammation. While vitamin E may be a commonly known of vitamin, its many functions and benefits may be less well known. However, by ensuring that your serum levels of this vital nutrient are optimal, you can enjoy better skin health, eye health, heart health, immune response, hormone balance and inflammation response. And, by adding either a quality natural vitamin E supplement, or a few natural whole foods to your diet, you can better enjoy all the benefits of this essential vitamin has to offer. Are you experiencing symptoms such as fatigue, trouble sleeping, brain fog, unexplained weight gain, allergies and more? Take our symptom checker to help identify what could be the underlying cause.